Marinate the chicken in the ginger garlic paste, salt, lemon juice and olive oil for one hour. Heat a pan with the cooking oil and sautee the chicken till its caramalised. Add the red chilli flakes. Add the coconut milk and sautee till the chicken is done. Serve with the cous cous.. Enjoy!! 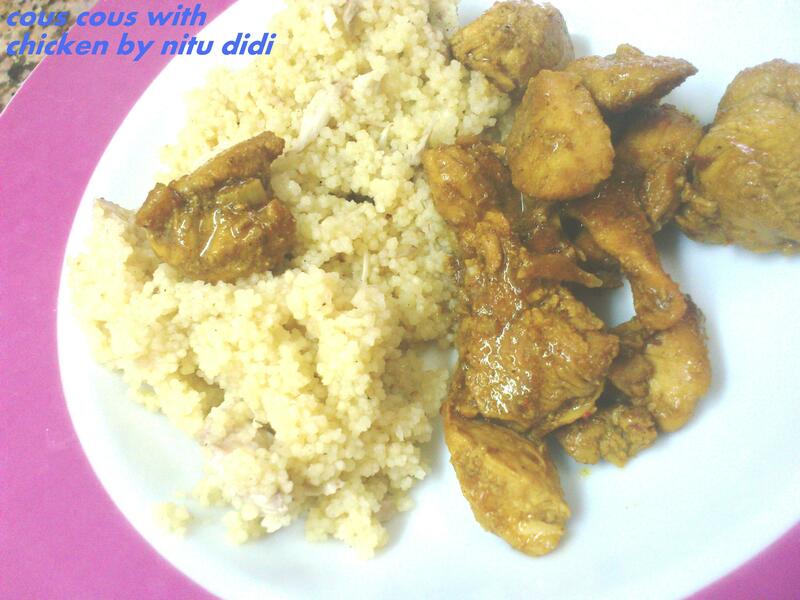 This entry was posted in Chicken and tagged chicken, cous cous. Bookmark the permalink.